Below are just a few of our radon mitigation projects. We chose a selection of different types and ages of homes. 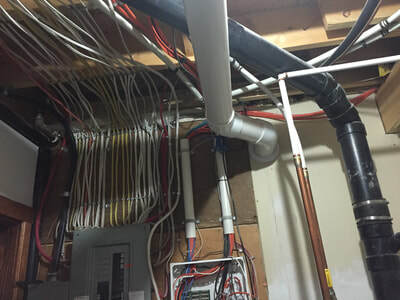 This is a slab on grade home built in last 10 years. 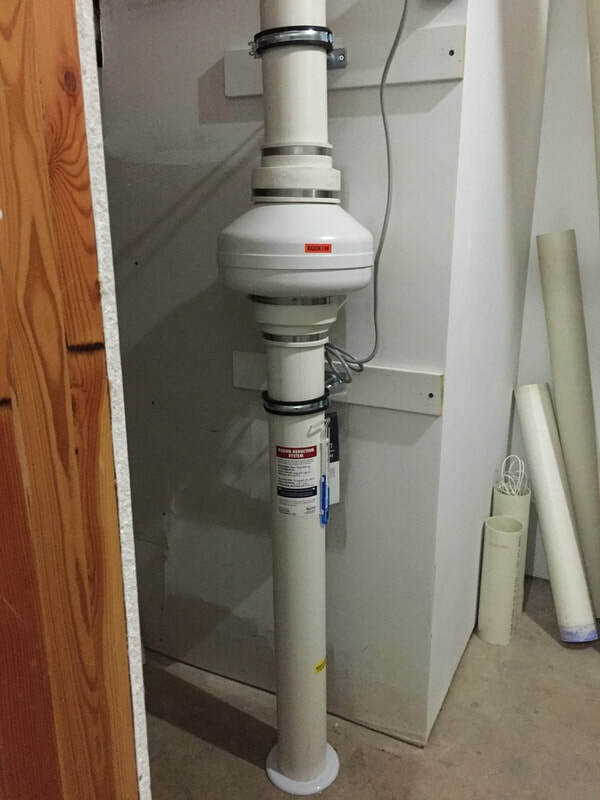 Radon level was testing under the Health Canada Guideline but homeowners wanted to reduce their radon level as low as reasonably achievable. 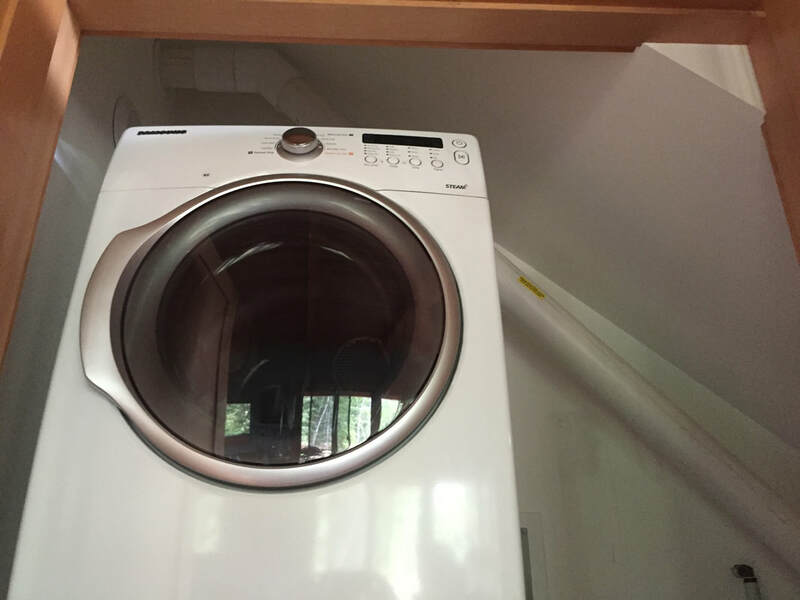 The main floor was completely finished except for a small spot under the stars in the middle of the home. We were able to fit the system in this space and run it up through the laundry closet and an adjacent bedroom closet to the exterior. This is another home built in the last 10 years. 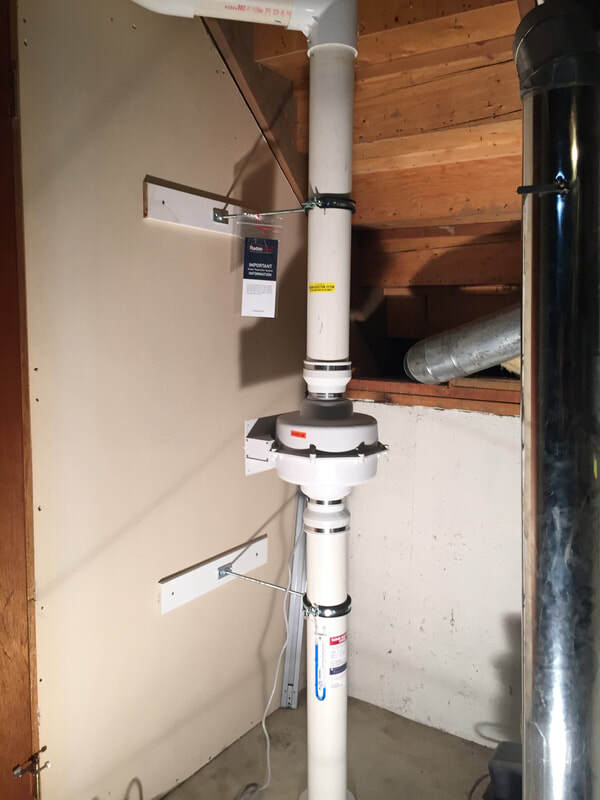 The homeowner had a system installed by someone else and a long term radon test showed radon levels were still over 1400 Bq/m3. 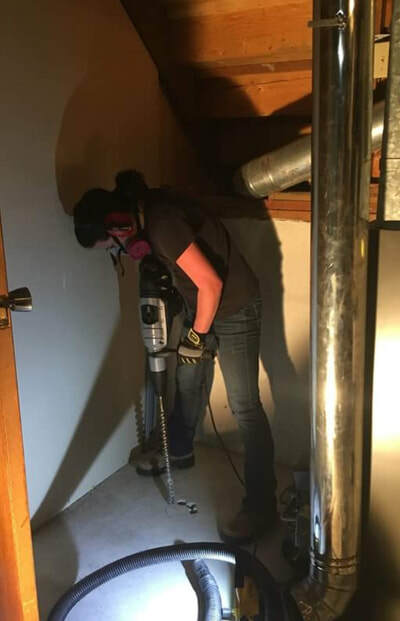 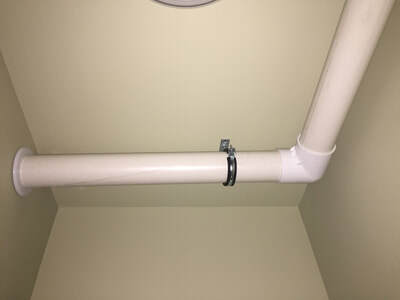 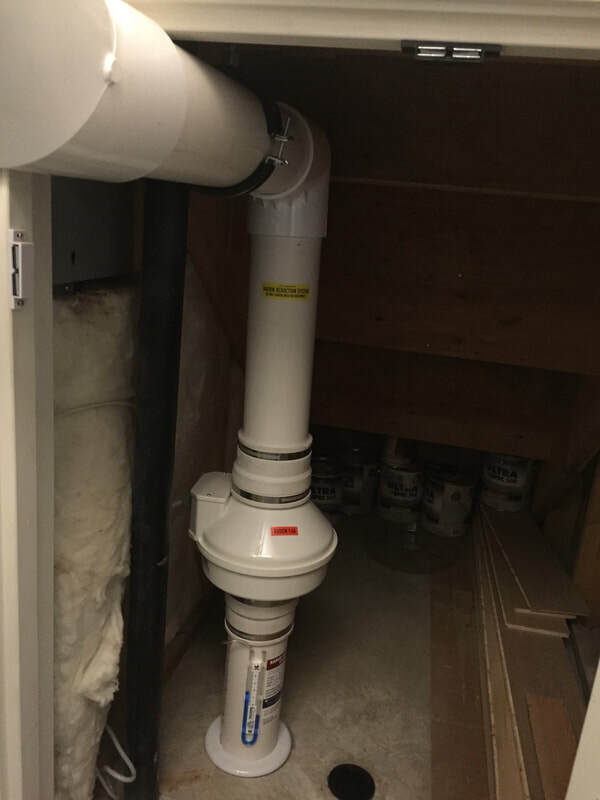 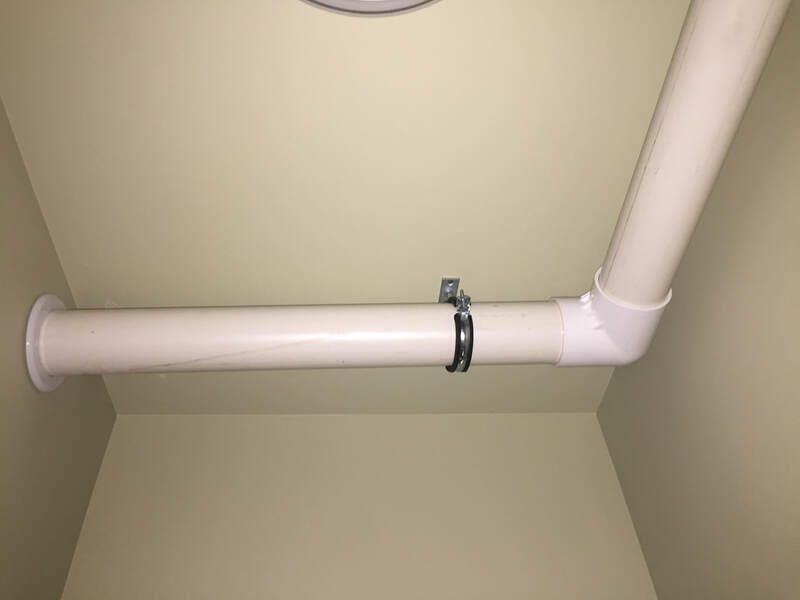 There was no way to make the existing radon mitigation system work effectively so we installed a completely new system. 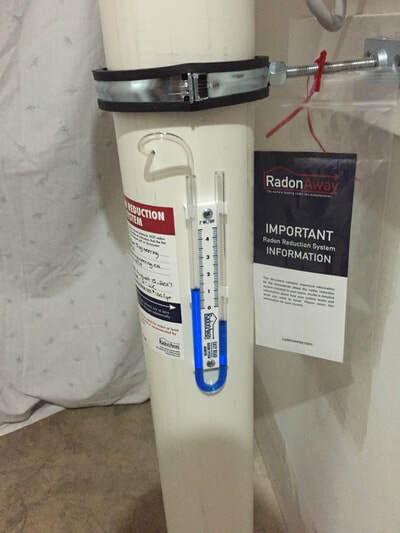 We were able to further reduced radon levels by greater than 93% over the previously installed mitigation system. This installation is in a historical home that required slab sealing work and an active sub slab depressurization system. Radon levels were reduced by greater than 90%. 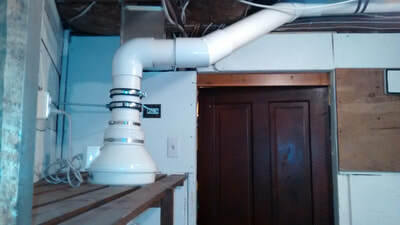 The above system was for a four level split built in the 1980's. 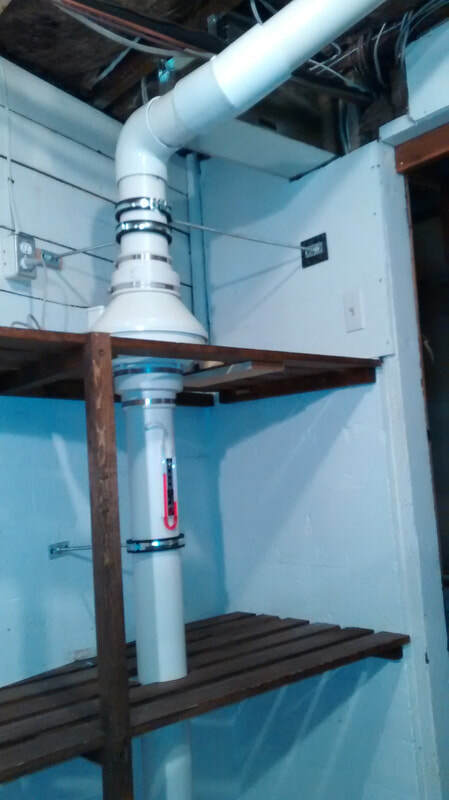 One suction pit was sufficient to provide coverage for both basement levels. Radon levels were reduced by over 90%. 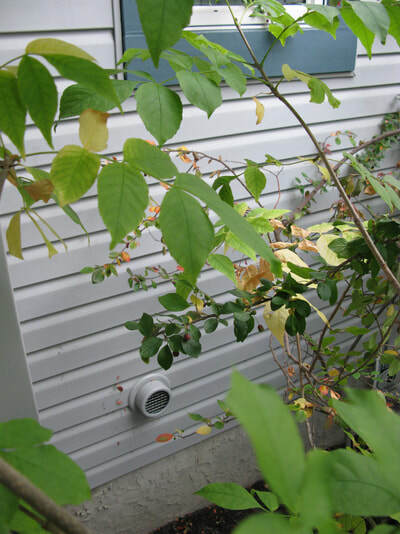 Photos were used with permission from homeowners.